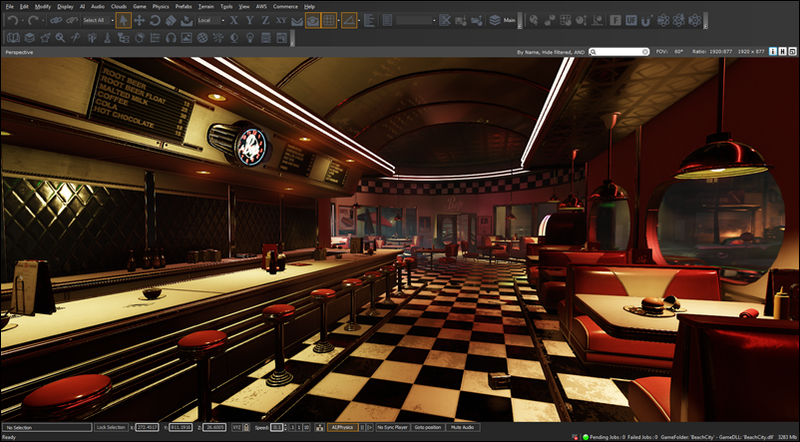 Lumberyard provides a variety of sample projects, levels, and assets, which are located in the \lumberyard_version\dev directory. Use the Project Configurator to set or change your default project. For more information, see Creating Lumberyard Game Projects. 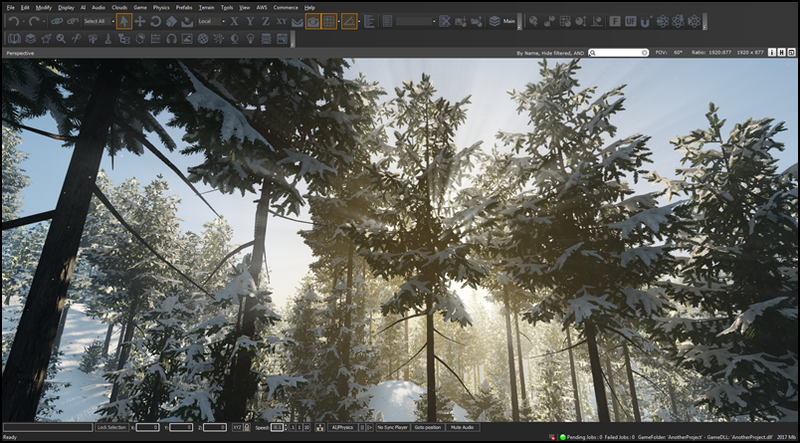 The Samples Project includes many sample levels that demonstrate various Lumberyard features, such as the Fur Shader, Rin Locomotion, UI samples, and more. For a complete list and descriptions of levels, see Samples Project. The Starter Game project contains the following:. Demonstrates how Lumberyard systems work together to make a game. 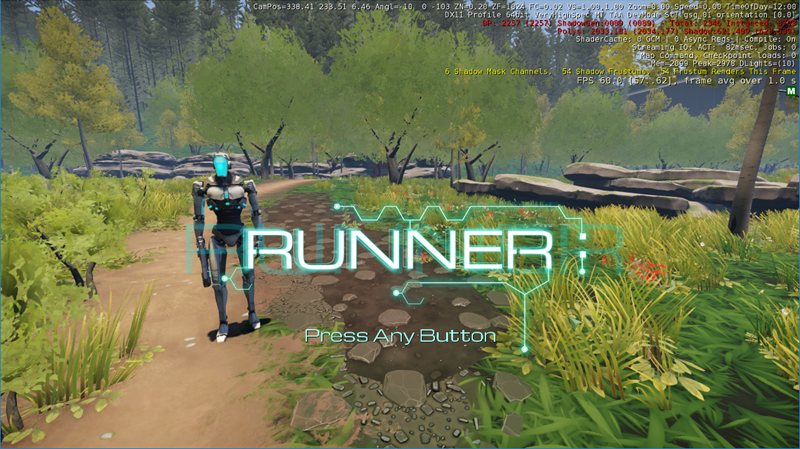 The systems and features include the component entity system, bipedal locomotion, voxel-based global illumination, and the time of day system. Contains 12 prebuilt level files, with each successive level building on the previous level. 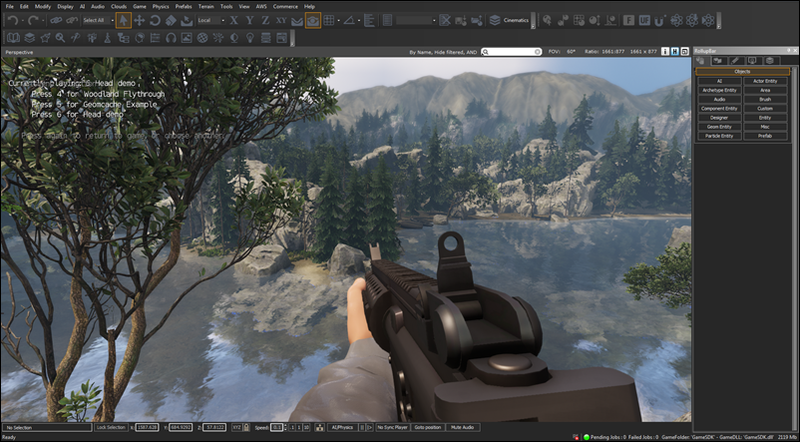 Use these levels with the Amazon Lumberyard Getting Started Guide to learn the basics of game making in Lumberyard. You can use these levels to skip over parts of the tutorial or to verify your work as you step through the tutorial. The levels also show the completed experience as it should behave based on the tutorial. 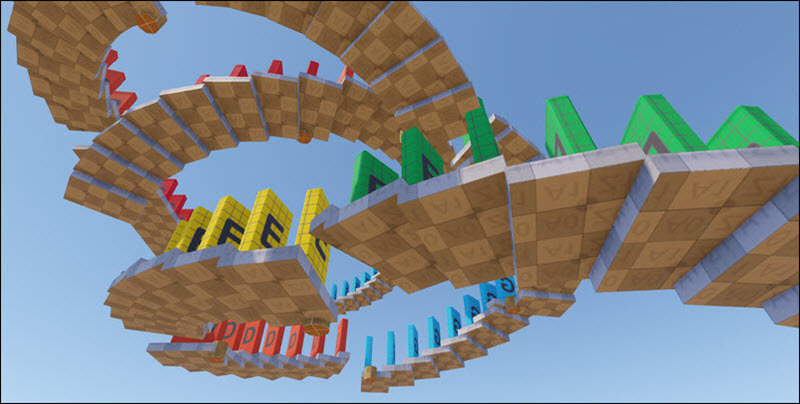 You can use the Multiplayer Sample game to test the Lumberyard GridMate networking features. The In-App Purchases sample demonstrates how to use the In-App Purchases (IAP) gem for a Lumberyard application that runs on a mobile device. 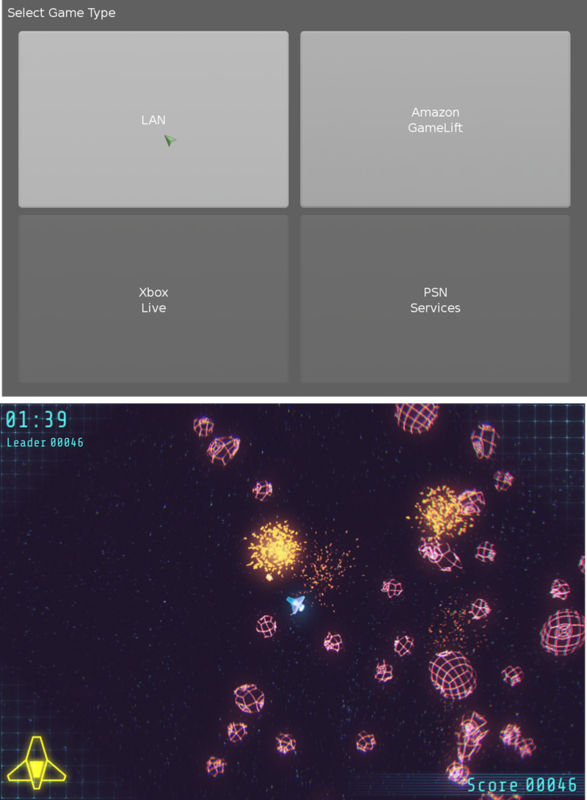 The Cloud Gem Samples Project has cloud gems that you can use to add cloud-connected functionality to your game. Using Dynamic Content Manager – Upload new or updated game assets to the cloud that can be automatically downloaded to game clients. In-Game Survey Cloud Gem Portal – Create surveys for your game, test them, and publish them. You can view the results of your surveys and manage them in the Cloud Gem Portal. Leaderboard Cloud Gem Portal – Store player high scores and provide leader boards that show player rankings. Message Of The Day Cloud Gem Portal – Schedule the delivery of messages like new product announcements or holiday greetings to game clients. Player Account Cloud Gem Portal – Use a standalone player authentication and management solution for your game. Speech Recognition Cloud Gem – Add speech recognition and natural language processing to your Lumberyard game. The Speech Recognition Cloud gem uses Amazon Lex, which recognizes and understands spoken user input. Text to Speech Cloud Gem (Using Amazon Polly) – Enhance your gameplay and workflows with synthesized speech. The cloud gem uses Amazon Polly, a text-to-speech service that turns text into lifelike speech. For more information, see Cloud Gems. The Virtual Reality Project sample is a template that you can use to build VR applications for any supported device. You can download this content separately. 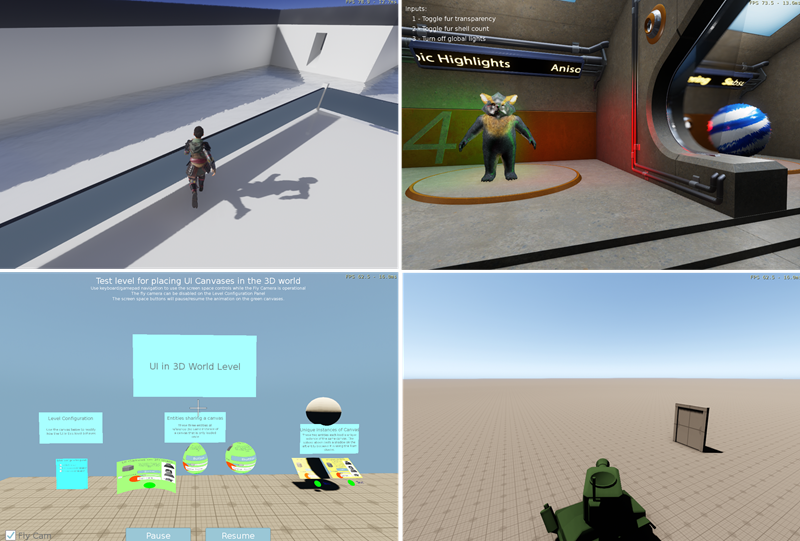 The following sample projects and assets are available as a separate download from the Lumberyard Legacy Downloads page. Woodland Asset Collection – Free assets for you to use to create your levels. Beach City Night Asset Collection – Collection of free assets that you can use to try Lumberyard or make your own games. Legacy Project (GameSDK) – Enables you to use GameSDK functionality.